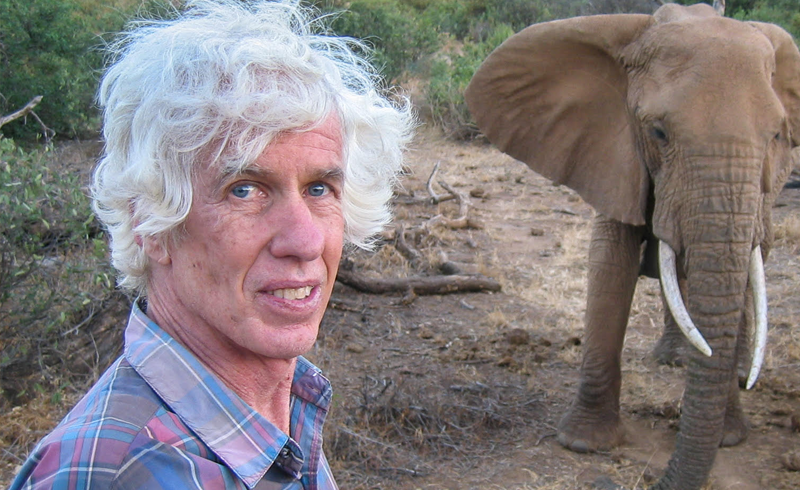 Esmond Bradley Martin, 76-year-old conservationist, was found stabbed to death last week in his Kenyan home after what police suspect to be an attempted robbery. “The world has lost a great conservationist who was as a global authority on ivory & rhino horn trafficking,” a statement from WildlifeDirect, a Kenyan organization devoted to ending cruel ivory trade in Africa, reads. New York native Esmond Martin received his Ph.D in geography from Liverpool University before leaving Britain to be a research assistant in Nairobi. In 1973, he published his first book, The History of Malindi, a study detailing the geography and history of the town. On Feb. 4, a family member entered Martin’s home to find him on his bed at home with a stab wound to the neck after failing to answer his phone calls. According to Nairobi police and officials, motives behind the murder of Esmond are still unclear, although many would argue that he had several enemies due to his controversial work exposing poachers. At the time of his death, Martin was in the middle of a report that he planned to publish, discussing the shift of ivory trade in Asia. Martin’s wife, Chrysee, who he met in the 1970s, survives him. The two wrote a book together, Cargoes of the East, in 1978. It provided extensive information on the history and culture of the Indian Ocean and the sailing ships that crossed it. Chrysee was a crucial supporter and research partner of Esmond’s, equally devoted to illicit trade and preservation. Friend of Martin and well-known anthropologist, Jane Goodall, responded to the dreadful news. “His murder is a real shock. Esmond’s untiring commitment to fighting the illegal trade in ivory was unrivaled […] his persistence and courage were boundless, and it is certain that his work resulted in the arrest of many illegal traffickers and the saving of many elephant lives.” Goodall and other allies of Martin’s are deeply saddened by the loss, but hope the incident will bring light to ivory trade violence in Africa and motivate others to follow in Martin’s steps to work towards wildlife conservation. His extraordinary research has forever changed environmental consciousness and although his loss will be deeply missed, his work will not be forgotten.